The big rivers around Montreal are home to the biggest muskies on the planet. 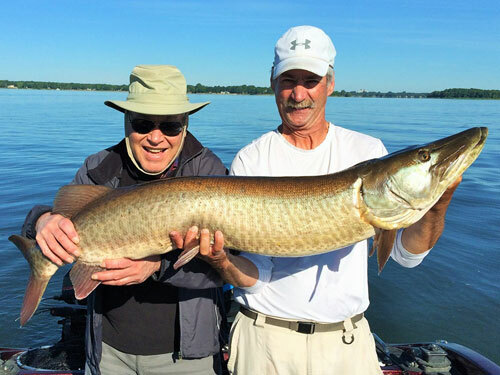 Various stretches of the St Lawrence and Ottawa River have good numbers of trophy 50+ inch muskies, not to mention some world record class muskies over 60 inches that have been caught over the years. The musky is the top of the food chain in our part of the country, and musky hunting takes very specific gear and tactics. The musky guides I've fished with are seasoned experts at targeting these elusive predators, and have all boated some real giants. 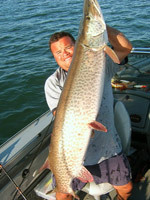 Musky fishing guides will take you trolling or casting with oversized lures specifically designed to catch muskies. Boat specs: 19ft Lund, 150HP Verado /15 hp kicker, GPS/sonar. Available time: Mid June through October. Daily rate: $450, tips welcome. 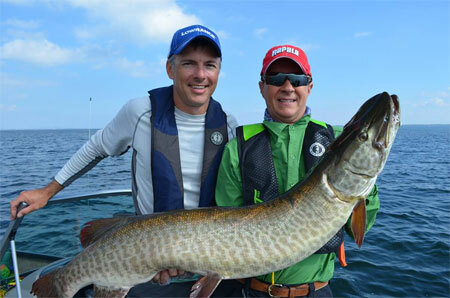 Best time: Patrick is only availble for musky from mid August until Late November.